Some places are just peel magnets! You might remember the infamous Watchout Week of January 18-24, when a new peel appeared in the same spot at 43rd and Clement every few days. This pile o’peels was neglected for a while, but got back in action on March 20. Remember this peel from March 6? It was still there on March 21 — almost unrecognizable. 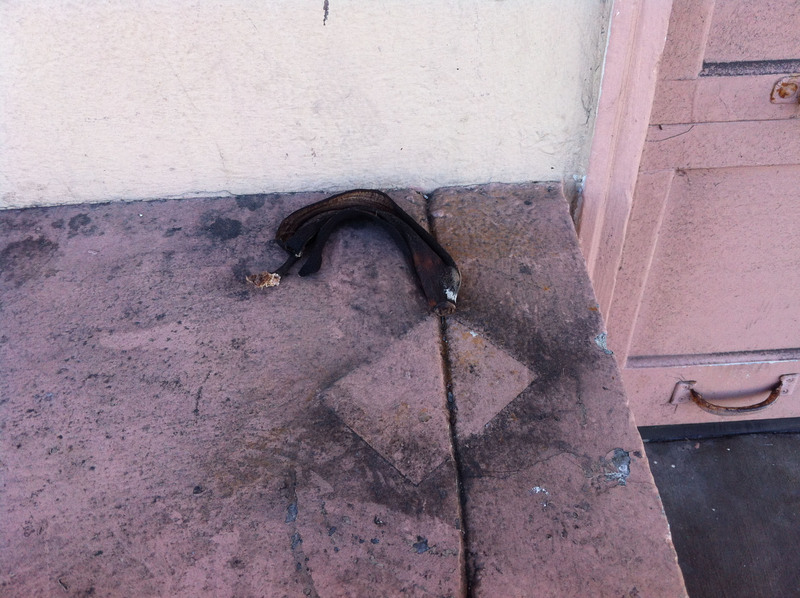 Dried-up and lonely: March 21, 5:15 PM, Geary and 44th.